The story of Job’s suffering has often been appealed to by those responding to the Holocaust. This book explores a rich variety of such receptions of the Book of Job, highlighting the need to appreciate the tensions present in both the biblical text of Job and in perceptions of the Holocaust’s meaning. Attention is given to the often creative modes of reading used by those appealing to Job, and the presence of complex interactions between theology, textual interpretation, and historical analysis. Receptions of Job examined include those presented by key post-Holocaust thinkers such as Emil Fackenheim, Elie Wiesel and Richard Rubenstein. 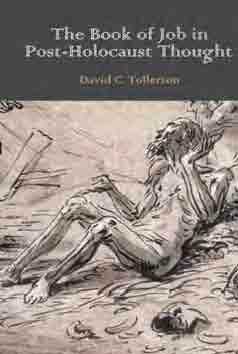 Bringing together elements of biblical studies and Holocaust studies, David Tollerton shows that Job has been harnessed for an array of purposes, from asserting the continuity of Jewish faith amid the traumas of twentieth-century history, to resisting the idea that there can be any decisive religious ‘answer’ to the Holocaust. Despite the diversity of ways in which Job has been cited, it is shown that such reception is nonetheless controversial, doubts being repeatedly raised whether Job is appropriate to the Holocaust context. While ultimately proposing that Job does indeed have a valuable role to play, The Book of Job in Post-Holocaust Thought argues that in some cases such doubts are in order, and that some receptions should be queried on textual, historical or ethical grounds. This book will be of interest to readers concerned with the modern reception of wisdom literature, theological responses to the Holocaust, or simply the manner in which the Bible has been used by communities attempting to make sense of modernity’s darkest aspects. David Tollerton is a Lecturer in Theology and Religious Studies at Bangor University, North Wales. This short but impressive monograph … deserves a wide readership , and should prove to be a valuable resource for teaching in Holocaust studies. A.G. Hunter, Society for Old Testament Study Book List 2013. One of the great merits of Tollerton’s work is his tone and even-handedness in dealing with a topic that so often inspires great emotion … Tollerton’s work reminds those who work in the area of Holocaust studies of the challenges of finding methods of interpreting the event ... [He] has done us the service of plunging into notoriously difficult and taxing moments in human history and thereby allowing us to locate areas of tension. This should only help to advance the discussion of both the Holocaust and Job. Bradley Embry, Review of Biblical Literature.